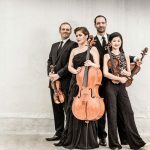 In 2008, The Jasper String Quartet, was on a fast run through the competition circuit, winning the Grand Prize and the Audience Prize in the Plowman Chamber Music Competition, the Grand Prize at the Coleman Competition, First Prize at Chamber Music Yellow Springs and the Silver Medal at the 2008 and 2009 Fischoff Chamber Music Competitions. 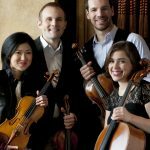 They were also the first ensemble honored with Yale School of Music's Horatio Parker Memorial Prize, an award established in 1945 and awarded by faculty for “best fulfilling...lofty musical ideals.” In 2010, they joined the roster of Astral Artists after winning their national auditions. 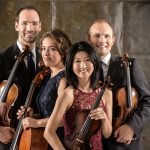 The New York Times named the Quartet's latest album, “Unbound” as one of the 25 best Classical Recordings of 2017. 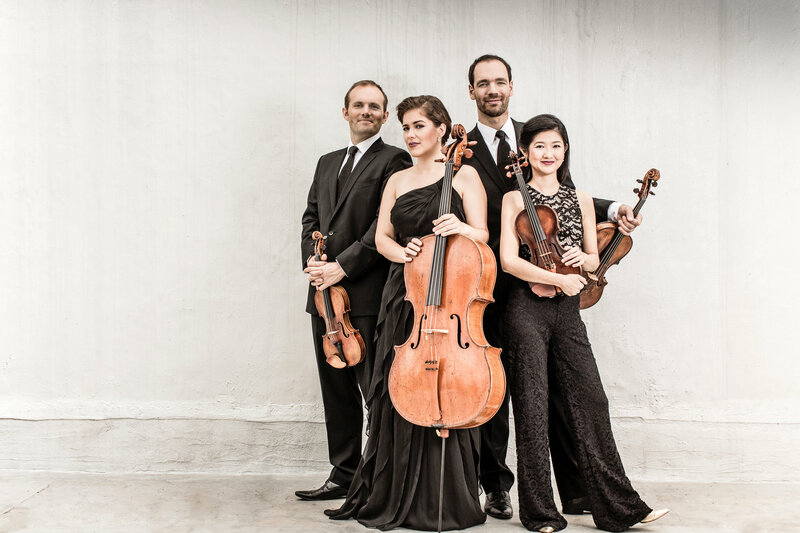 J Freivogel is the founding and current first violinist of the Jasper String Quartet. 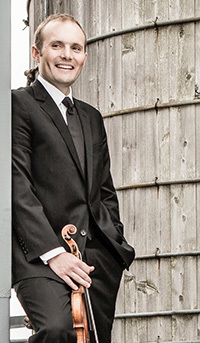 He attended Oberlin College and Conservatory, earning a Bachelor's Degree in Violin Performance and Politics. 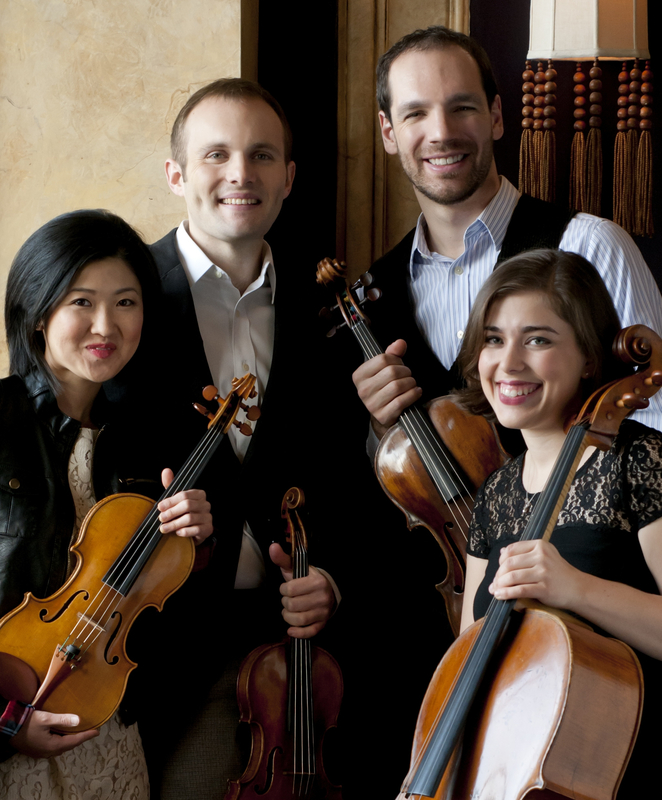 While at Oberlin, J won the Kauffman Chamber Music Prize three times. He also won the Presser Music Award, the Hurlbutt prize for Most Outstanding Violinist and the concerto competition. 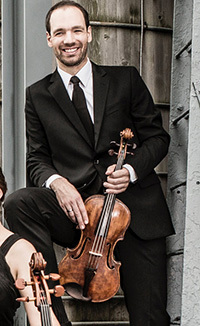 He received his Master's Degree in String Quartet Performance from Rice University's Shepherd School of Music and an Artist Diploma from the Yale School of Music. J is also a core member of the East Coast Chamber Orchestra (ECCO). He is married to cellist, Rachel Henderson Freivogel. 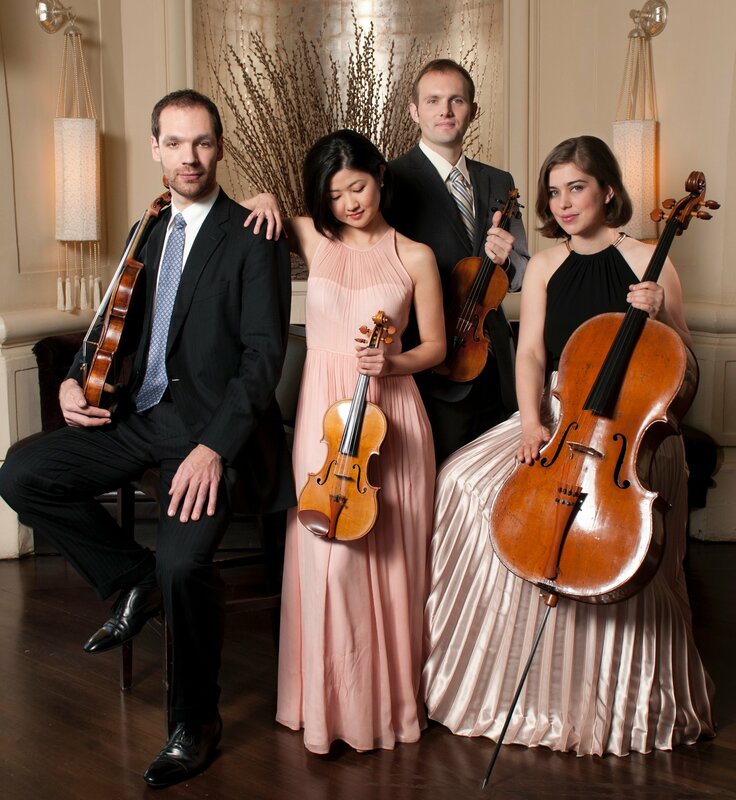 Rachel is the founding cellist of The Jasper String Quartet. When she was three years old, she asked her mother for a cello and finally received the much wanted gift on her fourth birthday. Her mother played cello, and Rachel grew up listening to her practice. Her mother was also her first teacher. 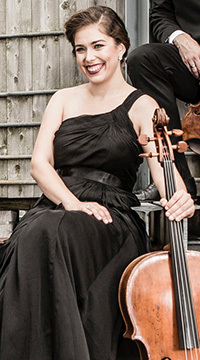 Rachel completed her undergraduate studies in cello performance at Oberlin Conservatory where she also received her Master's Degree in Historical Performance. 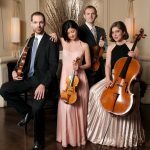 She received a Master's Degree in String Quartet Performance from Rice University's Shepherd School of Music, and her Artist Diploma from the Yale School of Music. Rachel is married to cellist, J Freivogel. They live in Philadelphia with their two children, Leon and Evy. Sae was born in Ibaragi, Japan, and began playing the violin at age three. When fifteen, she began her music studies at the prestigious Toho Gakuen School of Music in Japan, where she completed her studies with Koichiro Harada, a founding member of the Tokyo String Quartet. In 2001 she came to the United States to study with Donald Weilerstein at the Cleveland Institute of Music. 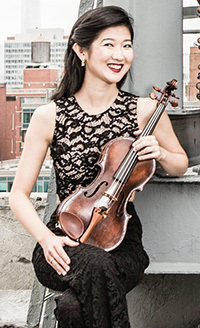 As a full scholarship student, she continued her studies with Mr. Weilerstein at the New England Conservatory of Music where she received her undergraduate and graduate diplomas. She also won Third Prize in the 2006 Swedish Duo International Competition. Sae lives in Philadelphia with her husband, Shun and son, Hideki. Sam is the founding violist of the Jasper String Quartet. He was born and raised in Fairbanks, Alaska, in a small cabin with wood heat and no running water. Sam earned his Bachelor's Degree at Oberlin Conservatory, where he studied with Marilyn McDonald. He then attended Rice University where he studied with James Dunham, earning his Master's Degree in String Quartet. He received his Artist Diploma from the Yale School of Music, where he studied with the Tokyo String Quartet. 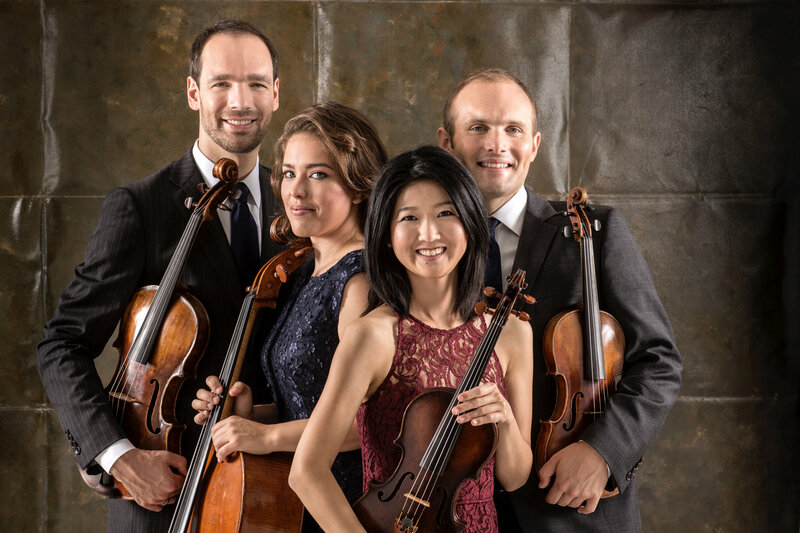 In addition to performing with the Jasper String Quartet, Sam has performed with exceptional chamber musicians such as, the Tokyo String Quartet, Paul Neubauer and Andres Diaz. Sam lives in Philadelphia with his wife, Anna and daughter, Lena.